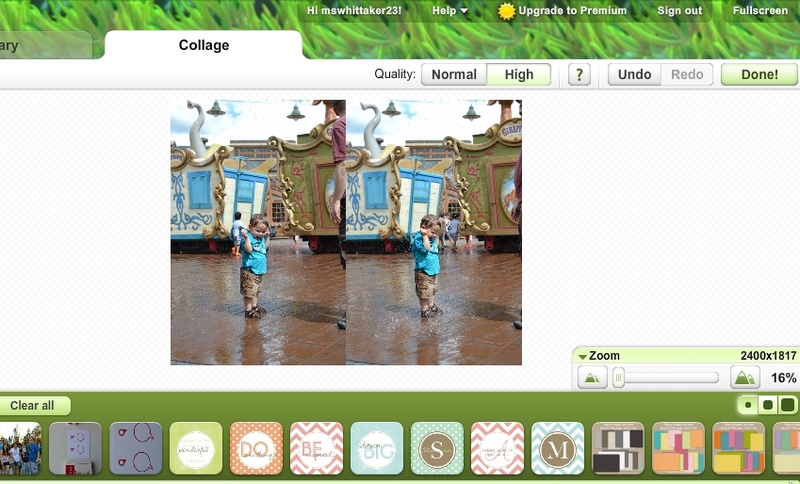 Ali Edwards has a fabulous tutorial for putting two 3x4 images on one 4x6 canvas using Photoshop Elements. If you have PSE, make sure you check that out. If you don't have Photoshop or Photoshop Elements, here's a free way to do the same thing. Visit www.ribbet.com, which is EXACTLY like Picnik was before it closed. It's the same platform. Looks identical and has the same features. Sign up for a free account, and upload your two photos. Then click on "Make a Collage." Choose the two photo canvas (or you could play around with more photos on one canvas if you like). 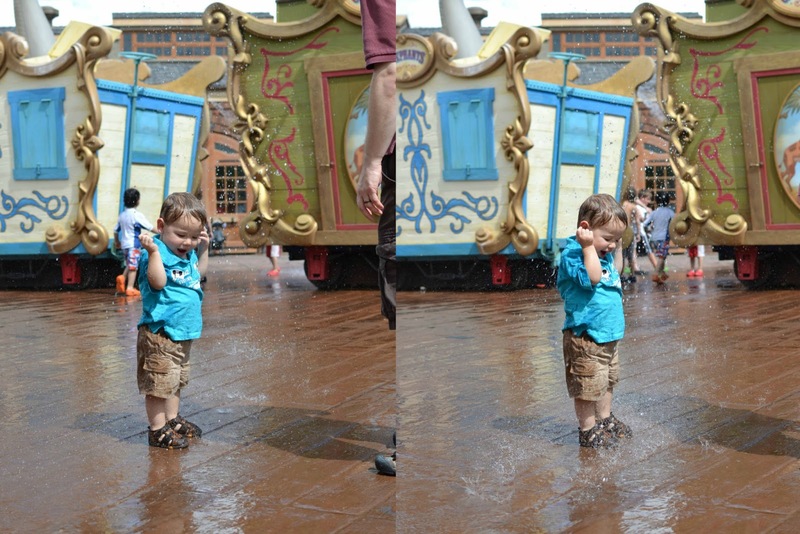 For two photos, I change my spacing to zero, my proportions to 40:60, and drag in my two photos. Once you've done this, change the quality to "high" and click "done." On this next screen, you want to crop your canvas to 4x6. Then you can click on Save & Share. I always save the highest resolution. Edit: I did this super quickly and didn't even notice the half of my husband in the left photo. You can adjust things like this by cropping your initial photo, saving and reuploading to Ribbet. I just didn't take the time to do that. i cant tell u how thankful i am for this i printed out your blog post and walked myself through this on ribbit and it worked!!!! my project life is finally gonna be like all the people i have envyed!!! thank you thank you thank you! just wondering if instead of pictures can you use this to print cards? You mean Ribbet in general? It's mainly a photo editor but they just recently added an option to start with a blank canvas. (Look to the right side of the home page). 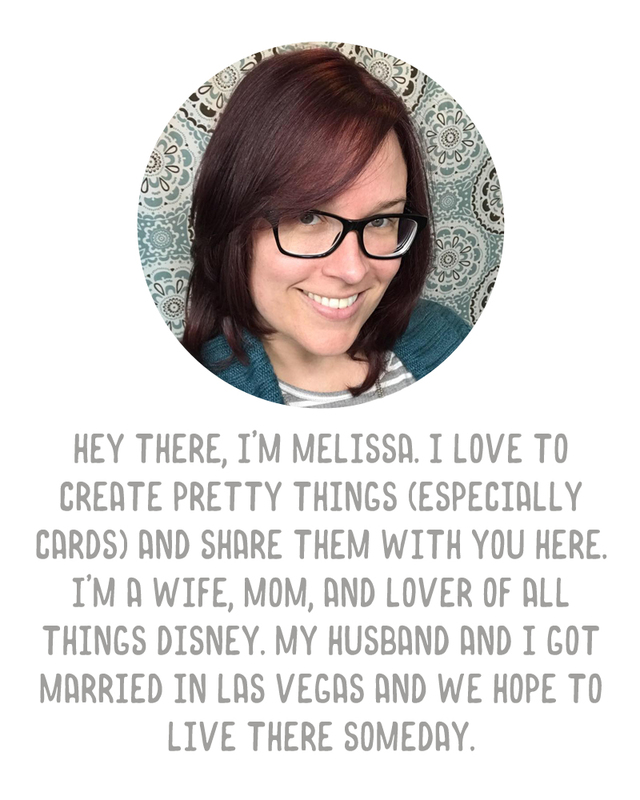 You could probably use the blank canvas to design those flat photo cards, using the shapes and text features they offer. But I have not tried this yet. Holy moly, just checked this out. You can add PNG overlays using Ribbet! New tutorial coming! You can also do this with Picasa (by Google) which is a free download, in case anyone is already using that program. First you have to go to tools/options/printing and make sure one of the options you have selected is 3x4. Then select the photos you want to print by holding them in the bottom tray. Click print, choose 3x4, and on printer setup make sure your paper is set to the 4x6.